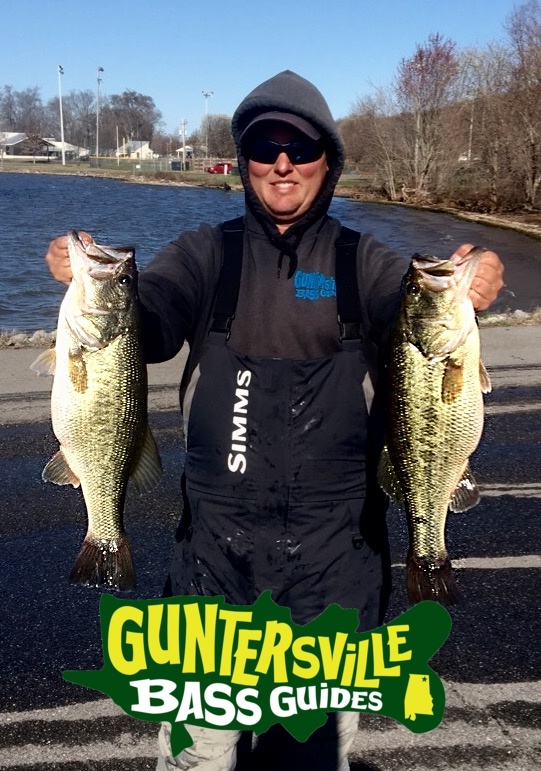 Lake Guntersville The Big G GVILLE she has a lot of names and as she should. 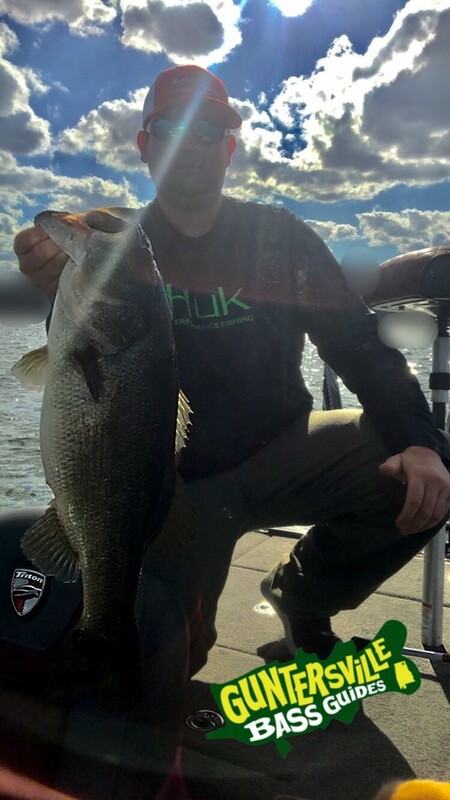 A fishery like her is one of a kind with Florida Strain Bass and Fronts this place will keep you on your toes. 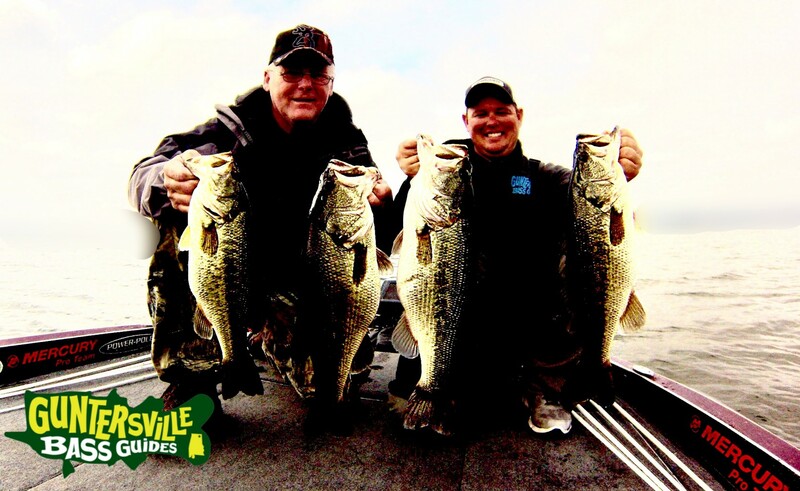 This past week was anything but boring, from catching really big bass to catching their offspring we had the best week for 2017. 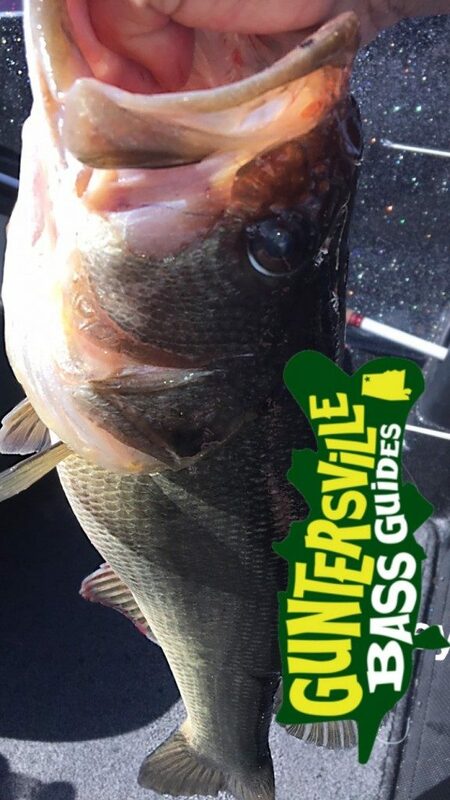 You can tell its spring time and what I mean is on day you’ll catch big momma’s all day and the very next day in the same area you catch big momma’s teenagers and most of them are white or yellowish white, these bass are steadily moving in to spawning areas.. 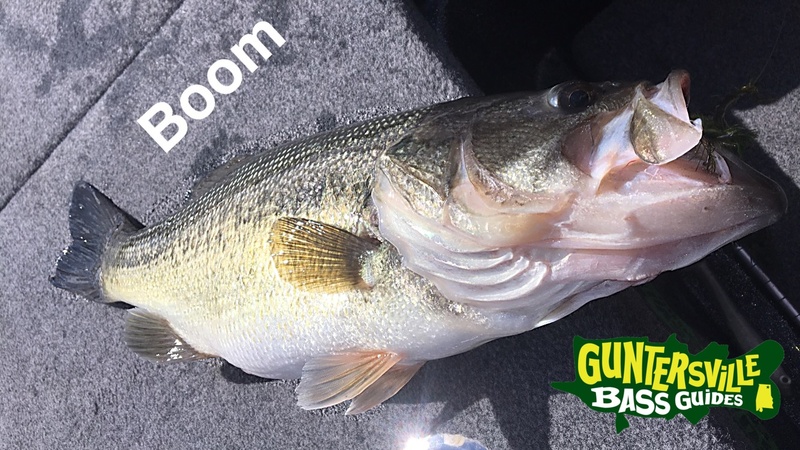 Yes in February we seen temps as high as 80 degrees and water temps as high as 64 so its the natural thing for these bass to start to prep for the spawn… Heck I seen pollen blowing out of trees on Friday. So Madness Of March is upon us. 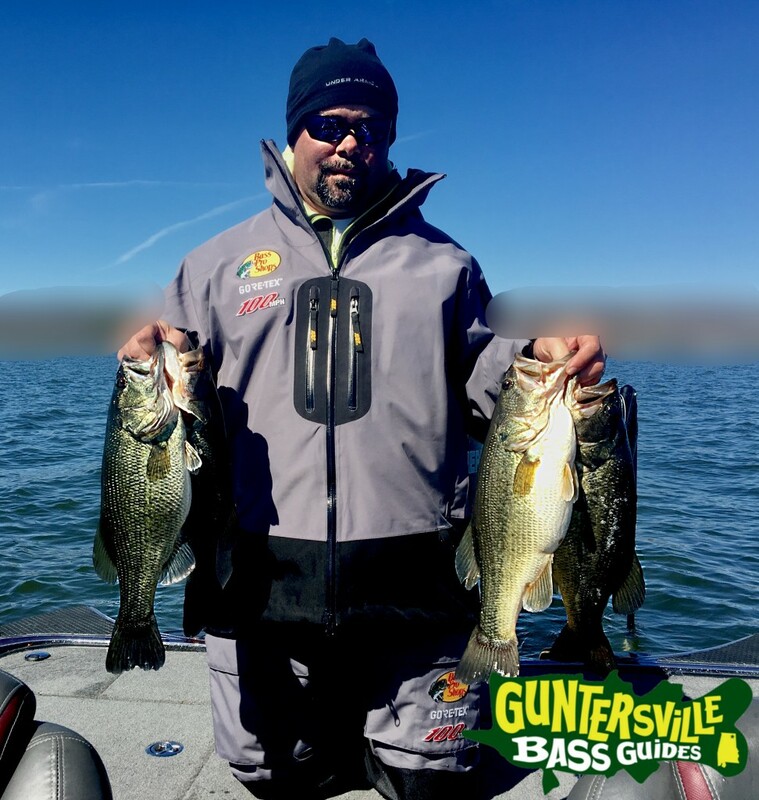 The Bass have been liking a lipless crank baits and to the point of digging the hooks out of the crushers. We have been keeping the boat 8 feet or less and some days you have to burn the trap and some days you need to crawl it on the bottom and rip it out of the grass. Our colors have been Red on the cloudy days and Chrome on the sunny days and 1/2 oz has been the best weight and 16lb Sunline Sniper Line on a Duckett Micro Magic 7’3 Med Heavy. This has been one of the best Lipless Years I’ve seen on this lake. WATER CLARITY : its pretty clear you can see the fish while your fighting them in. 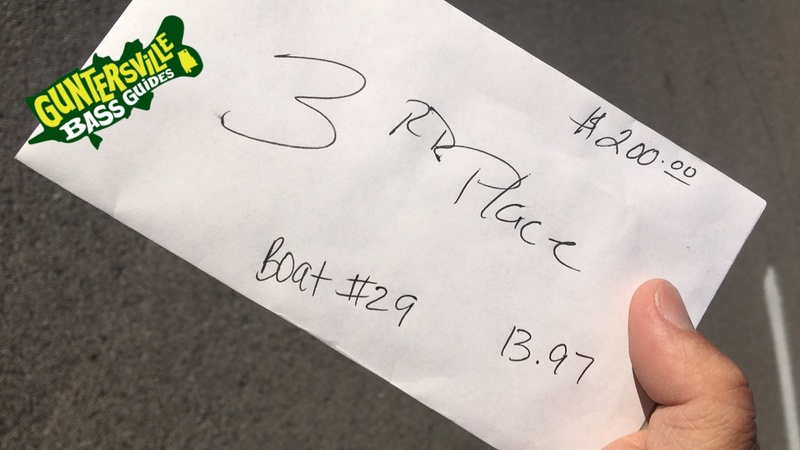 We fought the wind on Saturday and managed 3rd place with 3 fish and we did lose one that was pretty big and if she was like the two we weighed then we might of won with 4 fish.. But thats fishing just blessed to be able to do it for a living. We have days open to take you fishing or if you have a large group or corp outing we can accommodate check out our Group Fishing Page.